Experts form Engineering Expert Promotion Council(EEPC), Export-Import Bank of India, Maharashtra Airport Development Company Ltd, Rajiv Gandhi National Institute of Intellectual Property Management has participated. 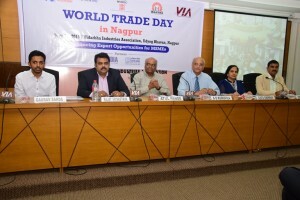 Mr A. O. Kuruvila, Advisor-Trade & Education, World Trade Centre Mumbai in his welcome speech heilighted how World Trade Day is a unique initiative of World Trade Centers and Trade Promotion Organisations across the world. During his spech he also said the moto behind the organization is to create awareness among various aspiring entrepreneurs ,MSMEs, Women entrepreneurs and industry clusters about the significance of international trade for economic development and regional growth. 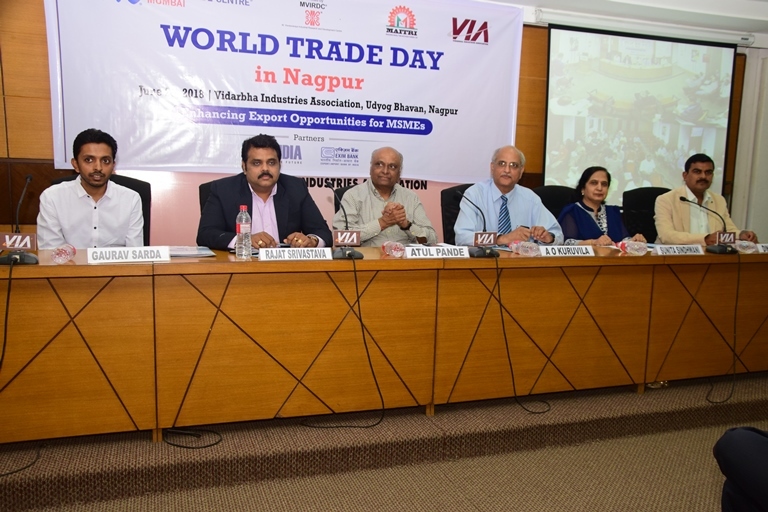 One of the speaker Mr. Rajat Srivastava, Regional Director – Western Region, Engineering Export Promotion Council (EEPC) conducted one special session on ‘Potential for Engineering Exports in Nagpur.’ During his speech Mr Gaurav Sarda, Chairman, VIA EXIM Forum said at regular intervals we were organizing programs for the benefits of our members and exporters of our region. If you are an aspiring entrepreneur and wish to take help form the WTC then you can definitely visit the upcoming conference alerts of Vidarbha Industries Association (VIA). You can also visit www.conferencealerts.in or subscribe for all upcoming events and conferences of VIA and WTC. How conference alerts could be the best place to find international conferences?